Animals in Translation by Temple Grandin is not an ordinary "horse book". The book does, however, contain information useful to those who deal with horses. Temple Grandin holds a Ph.D. in animal science. As a person with autism, she brings a unique perspective to the question of why animals act the way they do. When not fixated on evolutionary theories, Temple Grandin provides helpful information from numerous scientific studies as well as personal and third hand observations which help the reader understand why animals behave in certain ways. Like any good writer, she helps the reader "see" what he has probably already observed. She, also, helps him realize aspects of animal behavior he may have simply ignored. One example is selective breeding. Breeders may become so focused on developing a specific trait that they ignore other bad or even dangerous traits which they are, also, breeding into the animals. She gives reinforcement to my thinking that "mutts" are physically (and psychologically) healthier. The author points out how ignorance an animal's natural behavior can give us a wrong impression of what is normal. One example is the false notion that stallions are aggressive by nature. Ms. Grandin claims that such behavior is most often the result of raising a stallion in isolation. She points out that, in a herd of wild horses, one stallion keeps a harem. The other stallions live together in relative harmony. Horses are social animals and should live with other horses. 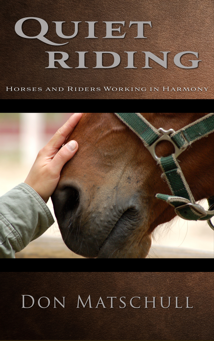 The author, also, provides useful information for those who are trying to train their horses. Punishing a horse for reacting in fear will make the horse more fearful. When a horse has been frightened, give him time to calm down before trying to get him to work again. Talk to him in a calming voice rather than yelling at him. Being prey animals, horses are naturally fearful. At the same time, they are very curious. If one is patient, he can use the horse's natural curiosity to introduce him to new situations which might otherwise be fearful. Such techniques can be useful in introducing a horse to trailering and in getting him accustomed to things which might otherwise frighten him when taking him elsewhere to a show. The earlier in his life a horse is introduced to such a variety of experiences, the easier he adapts. But training should not be rushed. One example is the horse who bucks when he changes gaits. This is often the result of rushed training. The horse may be frightened by the new sensation as he changes from a walk to another gait with a person on his back. If the horse has developed an established fear of this, Ms. Grandin suggests trying a different pad and saddle which will give a different sensation and not remind the horse of the situation which scares him. Animals are very tuned in to specifics. Little changes can appear to them as big changes. Even though most of this book does not revolve around horses, the reader can gain new insight through reading about how various animals react to their environments. 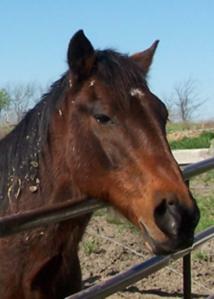 The reader can use what he learns about animals in general to how he deals with horses in particular.